Not sure about taking that helicopter tour over the Grand Canyon? 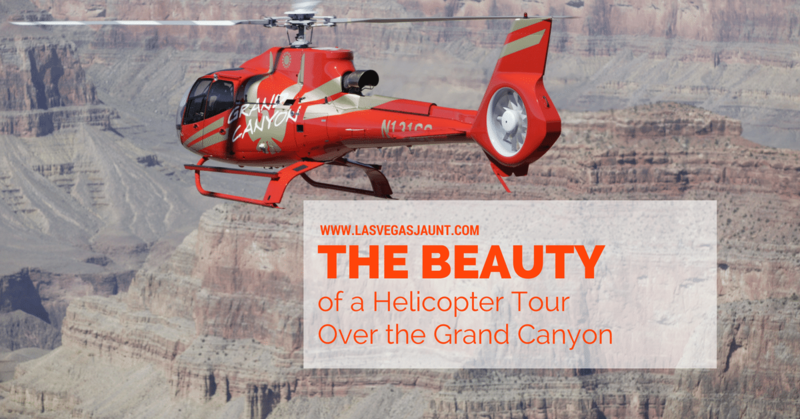 Take a look at all the beauty of a Grand Canyon helicopter tour and you're sure to make up your mind fast. This is a can't-miss experience that offers amazing views far beyond what you can see from the ground. We've compiled this guide to all the amazing things you'll see and experience on your tour over the Grand Canyon. Take a look at what this experience has to offer, and then book your tour today! This probably isn't what you expected to see on the list, but it's true - helicopter tours have become very affordable in recent years. There was a time when these tours were only for the super-rich. However, this industry has become very accessible for everyone in recent years. There are more companies offering this kind of service now. Gas prices are lower than they once were. Factors like this help keep prices affordable for everyone. With so much competition among tour companies, prices are sure to stay reasonable for years to come. You just can't beat an aerial view for giving you a beautiful picture of the landscape. Anywhere in the world, a helicopter will offer you unique and amazing views. Even an average-looking city can become beautiful when viewed from the air. The Grand Canyon, however, is one of the most stunningly scenic areas in the world. So why not see it from such a perfect vantage point? Even if you've seen the Grand Canyon before, you've never seen it like this. Get a different perspective on this landmark by seeing it in a way that not everyone does. You'll get a glimpse of natural formations that can't be seen from the ground, and you might even get to see wildlife that would shy away from people on foot. The Grand Canyon attracts people from all over the world every year. This can mean heavy car and foot traffic on the ground. Lookout points are likely to be crowded with people vying for a better view or a better picture. Driving to a scenic vista means you're likely to spend some time waiting in traffic. In a helicopter, though, you get to bypass all of that and see the scene without traffic or obstacles. You'll save time while having a chance to see everything you really want to see. With the time you save, you can actually see more of the beautiful scenery around you. The Grand Canyon is aptly named - not only is it beautiful, but it is huge. You can't see it all on one trip, but a helicopter tour can help you come close. See the parts you really want to see in good time by seeing them from the air. Even though helicopter rides are much more affordable now, there's still something that feels uniquely glamorous and exciting about the experience. The tour service will want to give you the ride of your life, so they're likely to give you a VIP-like experience even with the basic package. Let yourself feel pampered by this amazing opportunity. All your social media followers will be jealous! From champagne to limo rides, the VIP extras are sure to make the experience complete, so don't miss out. Helicopter tours offer much more than just great views. Helicopters are thrilling, but safety standards are carefully met by professional helicopter tour companies, so you can enjoy the ride with confidence. If you're curious about requirements and training for pilots, you can ask the company - they'll be happy to share the information that will make you feel comfortable. Obviously, a helicopter tour offers a great opportunity to take incredible photos and videos. You'll get amazing shots that you could never have taken otherwise. As a bonus, many companies offer professional photos or videos of the experience, so you can share with your friends back home and relive the trip again and again. Whether or not you love taking pictures, this ensures you'll still have memories of the moment captured. The helicopter interior is probably more comfortable than you expected. You'll ride in style and comfort - tour companies want to make your trip as pleasant as possible, of course. The Grand Canyon is picturesque at any time of day, but for a truly stunning experience, try a tour during sunset to see the Grand Canyon as you've never seen it before. The canyon is known for its amazing colors, which are highlighted when the sun goes down. You'll be amazed by all the detail you can see from the air. Some tours actually allow you to land in the Canyon itself, for a complete experience that on-foot tourists rarely get. See the Grand Canyon from the ground up when you land inside of it! From the ground, you'll get the chance to explore the area and take even more amazing pictures. Even though it's perfectly safe, few things can compare to the thrill of flying through the air in a helicopter. Appease your inner adventurer without any real danger by getting into the air in a helicopter. You'll get to feel like a daredevil - no skydiving required. Ready to see all of this for yourself? This is a must-see experience for any visitor to the Grand Canyon. Although there's plenty to see from the ground, seeing this amazing landmark from the air offers a whole new level of beauty. Make sure to book your flight early so you can make all the preparations you need to. Ready to book now? Check out our Grand Canyon tour packages - you're sure to find the right one for you. Don't miss out - incredible beauty awaits you! Thanks for your comment about how helicopter tours aren’t that expensive, so it’s a good vacation idea. I like how you said that you’ll be able to see beautiful scenes and be able to see so much at one time above it. My fiance and I are considering taking a cheap grand canyon helicopter tour as part of our honeymoon in a couple of months. Thanks for the tips! My wife and I love to visit national parks during the summer when we have time. This year we are going to be in Southern Utah to visit some of the famous ones located there. It would be great to get to the Grand Canyon during this time. I had no idea there were tours you could do by helicopter. That would surely be a unique way to see it. I agree, if there is any one reason to take a helicopter tour of the grand canyon it would be because of the views. After all there are going to be some angles of the canyon that you just cannot see from the ground level. In order to see the entire beauty of that natural landmark you would have to get some aerial views as well. I love what you said about the helicopter interiors and how they are usually more comfortable than you would expect. Taking a helicopter tour is a great option when visiting a foreign country. My wife and I want to travel to Australia, so I’ll make sure to find a helicopter service that can offer us a guided tour. 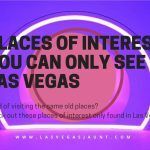 Sign me up for the Lasvegasjaunt.com newsletter!